Big Red Car here. It is cold in the ATX. It will last until Friday when it is supposed to be 70F again. In this cold, you require some tender, loving care. You need some comfort food. 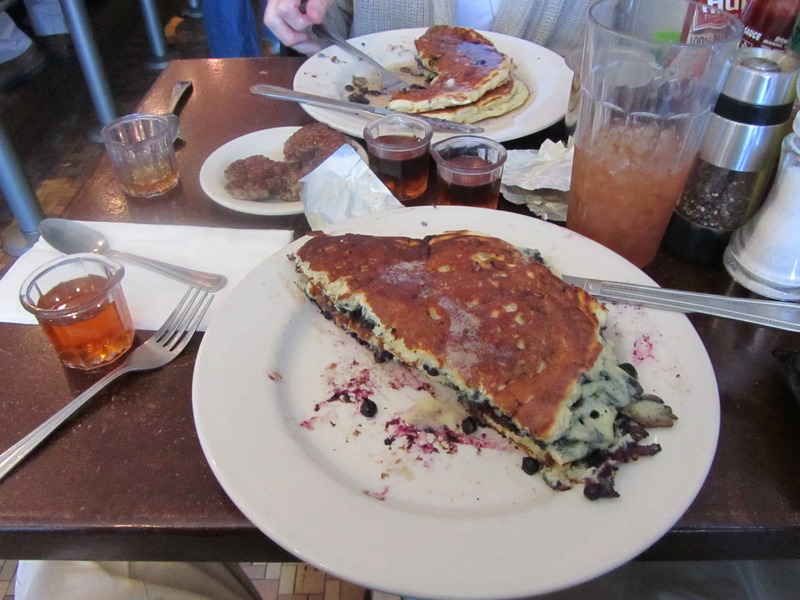 You need blueberry pancakes at the Counter Cafe. First, let’s make damn sure we’re all on the same wave length here, dear friends. This used to be an Austin secret and it is a discreet and intimate space. Do not tell anyone who has just immigrated from California. They have to discover it themselves. Rules are rules. Second, the blueberry pancakes themselves. I will go right for the kill. Here they are. This is a single pancake — blueberry pancake — cut in half. They are big. Then you stack them and butter them and maple syrup them. [Pro tip: get some extra maple syrup right up front and ask the folks to melt you some butter. Trust me on this.] Let them rest for sixty seconds. You’re going to want some spicy sausage patties. Very nicely spiced. You will want an Arnold Palmer, tart enough to cut the sweetness of the blueberry pancakes. When you bite into them, you will savor them like Christmas. Like the Fourth of July fireworks. The Counter Cafe is a little place. Notice how little here. They haven’t taken down their Christmas decorations yet. They like to take their time and make changes slowly. The Boss’s table is the empty one at the lower right corner of the picture. These blueberry pancakes are what are known as “world peace” pancakes — the kind of pancakes that if everyone in the Middle East ate them at the same time, world peace would break out. 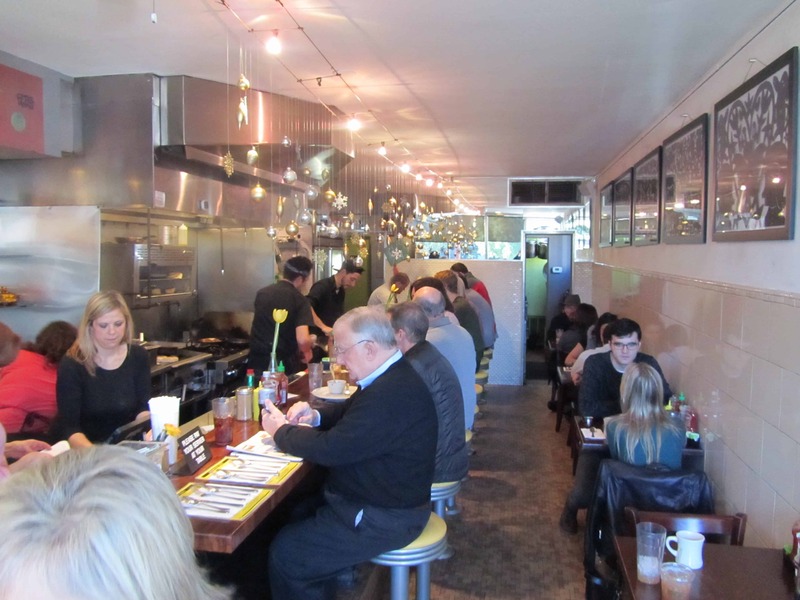 This entry was posted in Austin and tagged blueberry pancakes, comfort food, Counter Cafe, world peace. Bookmark the permalink. Awesome. Nothing quite like a great breakfast place. I assume those are Maine blueberries…? The gold standard. I suspect not. I suspect that are good old Texas or Mexican blueberries. I do know that Maine has the best blueberries. The Counter Cafe is dishing the most delicious blueberry cafes in the ATX. This is a secret and only you know about it. Safeguard it, please.